Norman Rockwell meant well, I think. 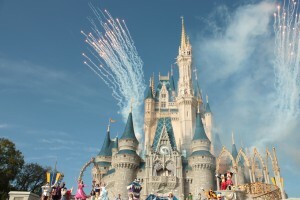 As did Walt Disney when he began building the famous theme parks that draw families by the millions each year. I doubt it was the intent of either to set up unrealistic expectations of joy to which we relentlessly aspire with very little real hope of attainment. Yet that is what they have done. 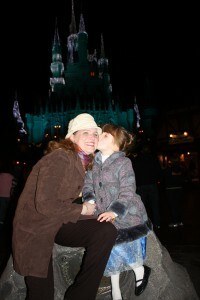 I attempted the Disney dream with my five-year-old daughter this Christmas. It was, in part, an attempt to escape the family holiday dinner table with all its barely suppressed tension and disappointment in exchange for a Christmas that looked nothing like Christmas, nothing like a Norman Rockwell painting, nothing like anything that could possibly make me compare my life to a dream I can’t say as I’ve seen anyone I know fully attain. 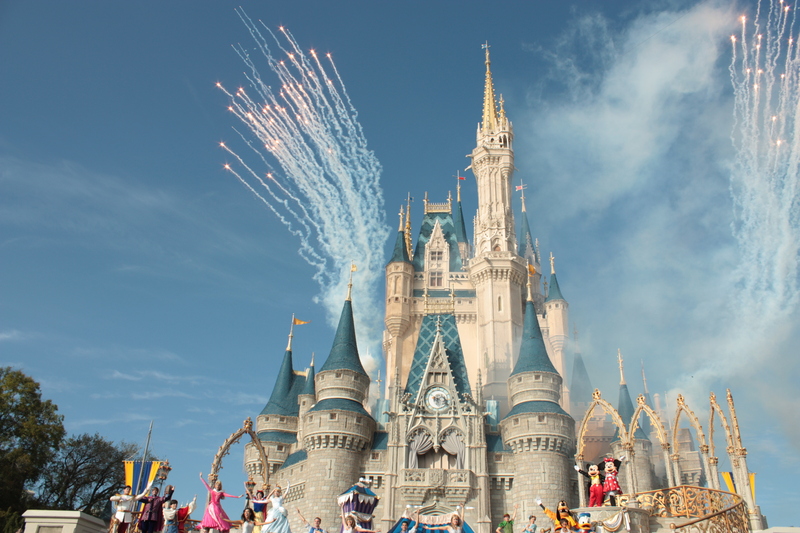 And besides, we all grow up with visions of Disney World as a magical place filled with fun, and joy, and laughter. Where these visions come from, I don’t know. I think they’re from the same place that sends visions of early parenthood as some period of deep happiness where Mom and Dad share the delightful responsibility of changing diarrhea-laden diapers at 3 a.m. and manage to smile through the whole smelly, sleep-deprived process. 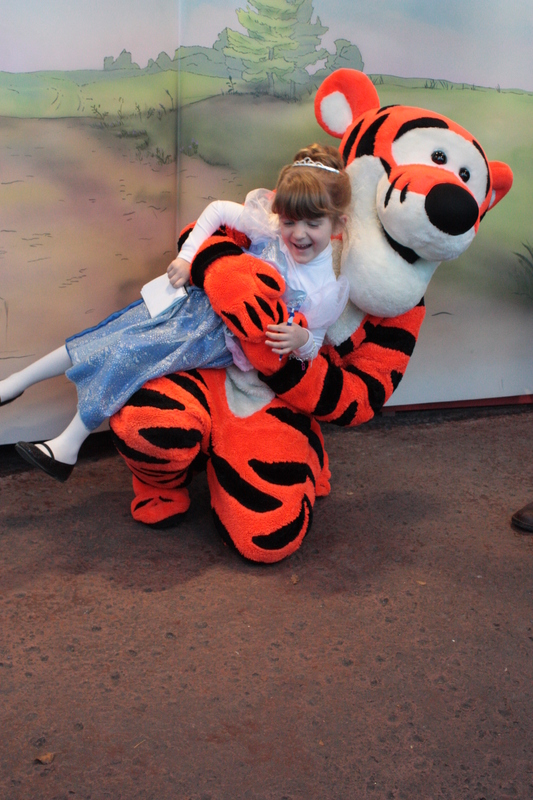 So many parents with whom I was acquainted had encouraged me to take Heidi to Disney, insisted now was the time while she would still think all the princesses and residents of the Hundred Acre Wood were real. And I’d seen their Facebook posts and pictures of their own Disney trips, and somehow, I admit, I was taken in. But once I began reading the 700+ page, Bible-thick Unofficial Guide to Disney and downloaded all its suggested apps, I began to worry. This was like planning battle strategy—hit this ride at this time to avoid a 180-minute wait. Get a Fastpass for Dumbo, and then go see the Mickey Philharmonic, and make sure to be back at your designated time for your 30-second ride aboard the floating elephant. Don’t get me wrong. My five-year-old had a blast. And thank heaven for that. Else I would find it incredibly hard to justify the 25 miles or so I walked on hard pavement day after day pushing a Minnie Mouse stroller designed for short parents, carrying a 30-pound backpack, while plotting Magic Kingdom battle tactics on my Droid. At first, I thought maybe I was a grumpy parent, that something was wrong with me. Why was I not loving Disney??? It was the same line of questioning I engaged in as the mother of a newborn. Why don’t I love every minute of the smelly diapers, the breast milk vomit on my shoulder, the 48-hour marathon runs of screaming diaper rash? Um, no, I didn’t realize that. If that’s the case, why do millions of people descend on the park every year? Because they’re buying into the Disney dream…in the same way we buy into the American Dream. Get everything you want, and then you’ll be happy. Make a wish, throw some electric sparkles into the air, and everything will be perfect ,and the wicked witch or Captain Hook will run away. Don’t get me wrong. I believe in dreams, probably more so than the average person who has had the intelligence to give up on the impossible before divorcing twice and switching jobs about a dozen times. But Disney isn’t really about dreams, at least not the kind that are achievable when you make less than $1 billion a year. All Walt Disney has proved is that if you throw enough hard cash at something, you really can make the impossible real. Bill Gates and Steve Jobs have done the same thing with a lot less plastic and electric hoopla. And after a few days at Disney and a fair amount of eavesdropping as well as philosophical chats with parents stuck in the same two-hour line with me waiting for photos with Princess Merida, I began to see that I was not alone in wanting this active vacation for couch potatoes to end as soon as possible. I found myself commiserating with mothers pushing baby strollers who wanted nothing more than to get back home to Nashville…and London (and why would you fly across the Atlantic to see this place???) I listened to fathers snap at their sons, “Enough already. No more whining, no more talking, just be quiet.” I heard moms and dads bickering on the ferry boat departing the Magic Kingdom, perfect fireworks blasting off in the background over Cinderella’s Castle. But was anyone watching them? No, just Heidi and me. Everyone else was facing the exit sign for the ferry, anxious to get off, get home, and put the Disney dream behind them. My ex-husband told me I should take Heidi here again one day, maybe when she is 21, to let her “relive the magic.” I actually guffawed. If my daughter can think of nothing better to do with her 21st birthday than go to the plastic kingdom, I have done a poor job of raising her. African safari, kayaking Norwegian fjords, hiking the Great Wall—any of these requests I’m willing to consider. But not Disney World. Never again. You see, I’m all about magic…real magic. The kind you find when rafting down real whitewater on the New or Colorado Rivers, not some fake river flowing through the Animal Kingdom. It might have been worth it to see Heidi dance with Tigger in full delight or wrap her arms around Minnie Mouse’s waist. But you know what? She was just as thrilled last fall standing under the largest intact T-Rex skeleton in the world at the Field Museum in Chicago and posing in front of a giant Brontosaurus’ thigh bone. But the really tough thing about Disney is the way it distracts. It distracts so intensely that the families visiting forget everything but checking off all the rides on their list and getting the autographs of all the “characters” for their six-year-old. It’s not like gliding into Glacier Bay on a kayak or slipping down the canals of Venice on a gondola where you experience take your breath away spectacle of an all-engrossing, thank God I’m alive and breathing and seeing this kind. By my last night at Disney, I’d had quite enough. Tired and cranky as a toddler, I was trying to push Heidi’s stroller through a mob scene watching the nightly Electrical Parade at the Magic Kingdom. When a “cast member” chastised me for stopping the flow of traffic so my little one could get one last glimpse of Mickey gliding by on a float, I turned on her with all my Disney angst and let loose a flood of not epithets but something close. Needless to say, she left me alone, and I knew suddenly Disney was not the place for me anymore than a cage in a make-believe Serengeti is any place for a warthog. I still don’t plan on spending Christmas anytime soon trying to create a Norman Rockwell painting in my dining room…but I sure as heck won’t be watching pacing tigers in “Asia” who are trying to figure out how to break through the glass wall that separates them from the tourists they’d very much like to eat. I’d rather see the tigers where they belong…in India…and myself where I belong, too—in a setting where magic is real and doesn’t require an electrical cord to make it run.